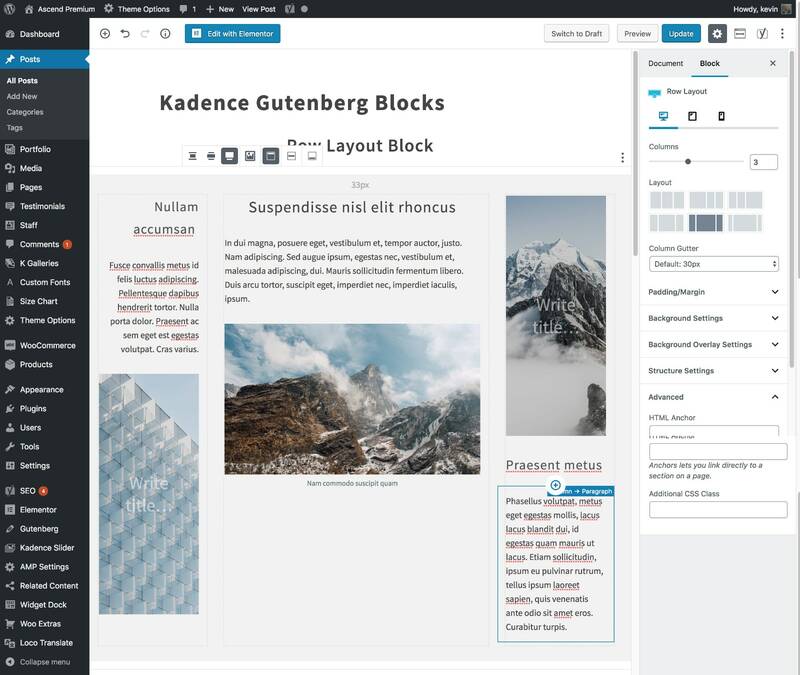 The default Gutenberg columns aren’t very impressive at the moment, but thankfully, ours are! 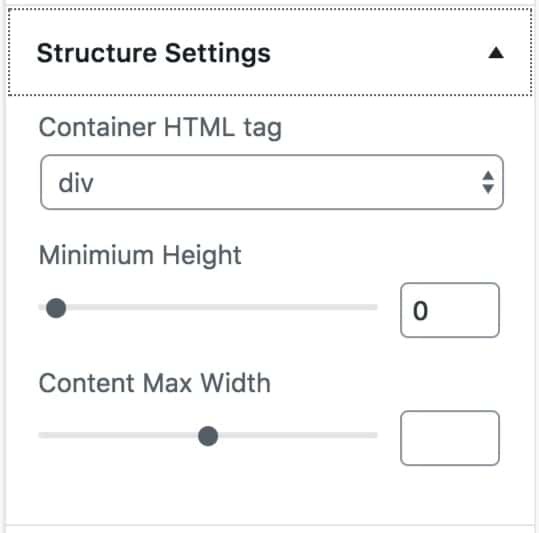 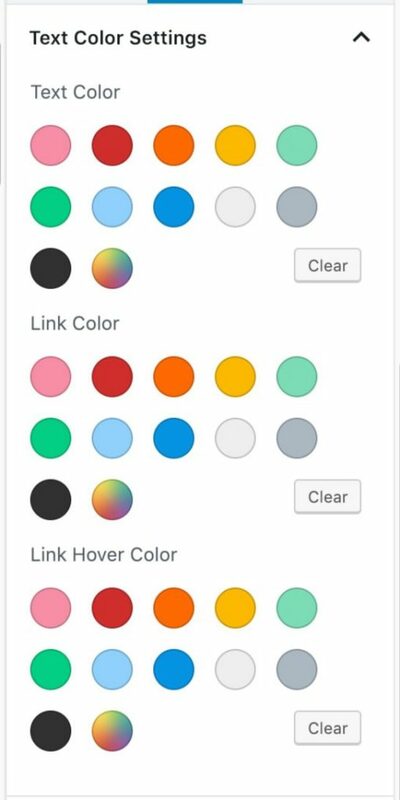 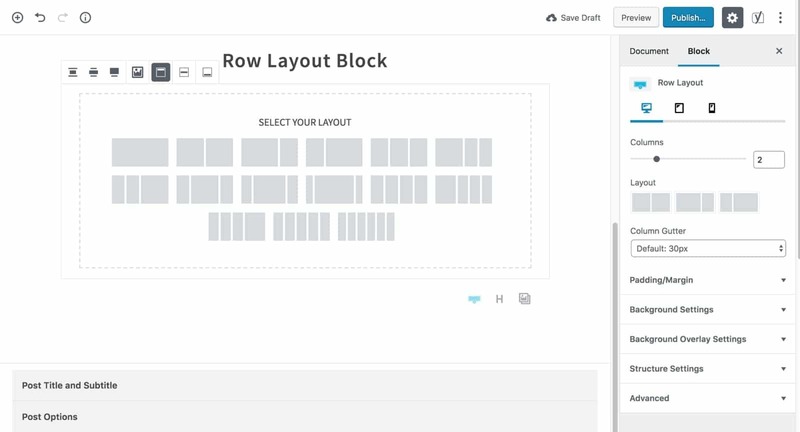 With the Row Layout Block, you’ll be able to easily create responsive layouts for your pages and posts. 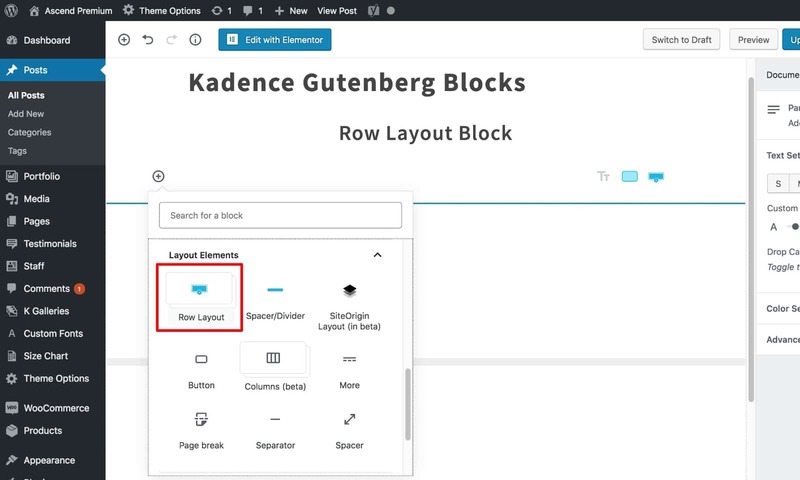 For each row layout block, you also have a sidebar full of layout and design options. 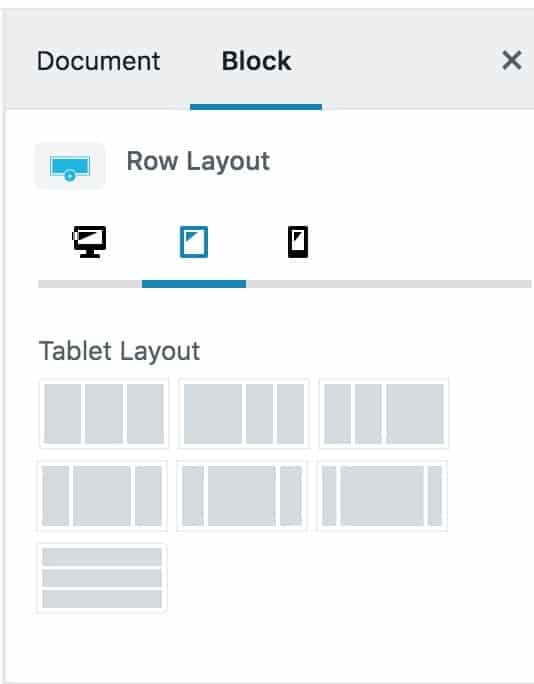 The Row Layout Block also has options for how to display on tablet and mobile browsers.